Daft Punk’s Random Access Memories, reviewed. Totally undanceable, dafter than ever—and a wire-to-wire triumph. Few albums this year have been more eagerly awaited than Daft Punk’s Random Access Memories, the French duo’s first studio album in eight years. A 15-second clip of the first single, “Get Lucky,” led to an avalanche of YouTube homages, loops, and remixes from fans desperate to make a meal from any bone Daft Punk tossed in their direction. “Get Lucky” was released in full last month, and the breezy, infectious disco hit seemed to be a good omen. But after the mountains of advance hype piled on Random Access Memories, the album itself—a wildly ambitious, slow-burning ’70s-style colossus that you can’t really dance to—came as a surprise. To some, it was a huge disappointment. Random Access Memories is not a party record, to put it mildly. The album trades more in the tropes of limpid ’70s and ’80s soft rock and disco than it does in the more modern priorities of house and techno. Think moonlit drives in Los Angeles, palm trees, yacht rock, and windswept white beaches. Think Average White Band, the Doobie Brothers, Hall and Oates, and Fleetwood Mac. If that’s not your style, there’s an impressively grandiose ballad, “Touch,” that sounds like it could be in an Andrew Lloyd Webber musical. Another song, with the teasing title “Giorgio by Moroder,” features legendary disco don Giorgio Moroder talking—talking!—about his long career. 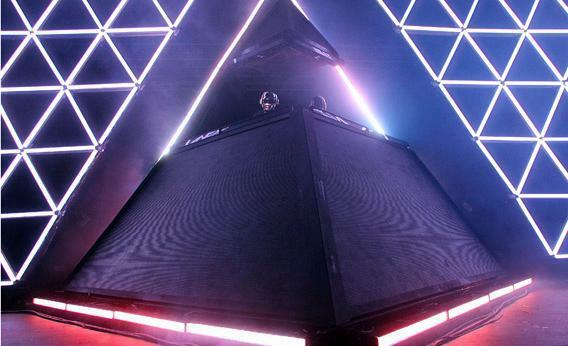 It almost felt as if Daft Punk, arguably dance music’s most famous ambassadors to mainstream culture, had betrayed us. Perhaps they had given up. Their 2005 album, the icy, brittle Human After All, was a letdown, and their 2010 film score for Tron: Legacy pointed to a more amorphous, less danceable direction. In a recent photo shoot, they posed artfully next to an 8-foot-high wall of flames—probably not breaking a sweat in glittering custom robot helmets and perfectly tailored sequined suits—reflecting the glamour and mythos of dance music while simultaneously distancing themselves from its present-day reality. But Random Access Memories makes more sense the more you listen. The impressive, absurdly expensive album—laced with orchestras, choirs, and big-time guest musicians (Nile Rodgers of Chic and Pharrell Williams, among others) is, oddly enough, the most Daft Punk album that Daft Punk has ever made. Daft Punk’s penchant for soft rock and disco goes back to their earliest days. From the very beginning, they were voracious fans and consumers of old disco, funk, and rock records from the ’70s and ’80s, sampling bits of tunes by the likes of Barry Manilow, the Tavares, and Sister Sledge, and crunching them up into monster tracks that became quintessential Daft Punk hits. On Random Access Memories, crafted almost entirely with “real instruments,” Daft Punk has taken its love for sampling to its logical, most literal conclusion. The duo best known for the sample-heavy dance music classics Discovery and Homework, for pumping out dance-floor anthem after anthem, has finally reached the next level—a level only accessible to those with access to million-dollar studios. In a way, Random Access Memories is “Teachers” writ large – the Daft Punk song from their 1997 debut, Homework, which name-checked a litany of their favorite musicians. Phantom of the Paradise is key to understanding Daft Punk’s aesthetic. In the movie, a nerdy songwriter is reborn as a phantom who attempts to exact revenge on an evil svengali record producer named Swan. In one scene in the movie, Swan traps the phantom—now wearing a tight black leather jacket and a robot helmet—in a sophisticated recording studio walled with racks of analog gear. The phantom, whose vocal cords have been destroyed, speaks through a talk box attached to his chest, sounding remarkably like a vocodered lyric in a Daft Punk song. “Touch” is the apex of Random Access Memories, the total realization of the album’s ambitious reach. There’s nothing cool about it, and it takes guts to make music like this in 2013 on such a grand scale. It’s Daft Punk’s love letter to Phantom of the Paradise, and it’s schmaltzy and deeply weird. The lyrics are, well, daft (“Touch, sweet touch/ You’ve given me too much to feel”), but the lyrics are beside the point; Williams’ graceful vocal delivery is awe-inspiring. It’s simultaneously melancholy and uplifting; the moment where Williams’ voice trails off and “Get Lucky” begins is a great moment in pop music. Unlike, say, LCD Soundsystem—a band that also wore its influences on its sleeve—Daft Punk is doing all of this without a trace of irony. In “Giorgio by Moroder,” the duo records the storied disco producer speaking seriously about his life and work through three different microphones—each from a different era—before launching into a by-the-numbers Moroder disco homage. It’s so painfully literalist and earnest that you almost can’t help but laugh. Daft Punk’s best music has always been about unabashed sentimentality—the over-the-top exuberance of “One More Time,” the wide-eyed, dewy emotionalism of “Digital Love.” In 2013, after years of fashionably ironic retro dance-rock, it’s a relief to hear retro-sounding music that sounds this sincere. Random Access Memories includes contemporaries, too—indie-rock musicians like Panda Bear and Julian Casablancas of the Strokes, and longtime Daft Punk collaborators such as Todd Edwards and DJ Falcon. But Random Access Memories is more than a mishmash of its various collaborators and influences; it all sounds like Daft Punk. The moment midway through “Get Lucky”, when Pharrell’s vocals drop out and the robots take over, is the best moment of the song. The album is an artistic statement as goofy and overblown as it is courageous and charming, a total coherent synthesis of all things Daft Punk past and present. Random Access Memories is, in its own crazy way, a triumph.